You love an excuse to break out the tux, but you've got to be strategic about gala season. We've siftedthrough the glossy invites and chosen five charity benefits worth attending. Why You're Going: It's dinner theater with a side of bling as patrons are treated to a variety show of ballet, opera and symphony paired with Argentinean wines and gourmet food. With DJ Paul Sevigny spinning at the after-party, you'll want to stick around past dinner. 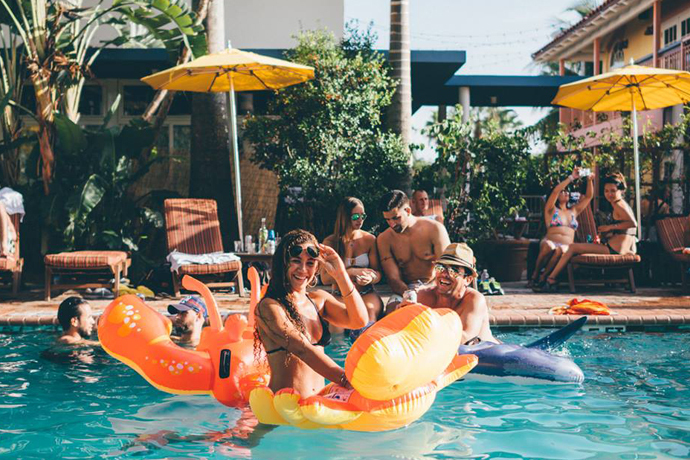 Why You're Going: The Friends posse is known for being the younger, hipper counterpart to Miami's philanthropic scene. Kick off the season with a membership, and you get access to five more invite-only events, none of which require a tux—or, in the case of Symphony on the Sand, footwear. Why You're Going: It's like Second Saturday gallery night, except everyone's dressed up and the booze won't run out. Plus, each raffle ticket guarantees you walk away with an original work, so make sure to ask that comely art dealer for her recommendations. Why You're Going: With a host committee that includes the owners of the Forge, you know the scene and the guest list will be worth perusing. If last year's Sharon Stone-hosted soiree is any indication, there will be plenty of celebs in attendance. Why You're Going: The least stuffy of all the galas, MOCA's shindig goes down in a tent behind the gallery wing and always features a reliably attractive crowd dancing, schmoozing and flirting. With this year's theme, expect good Indian food and sari-clad performers.